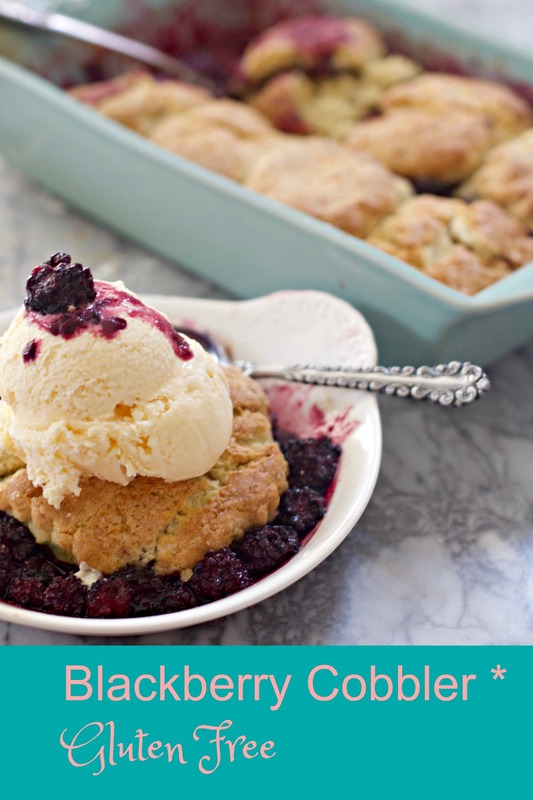 Good old fashioned gluten free blackberry cobbler made with lemon ginger biscuit dough. Mix blackberries with all ingredients except biscuit dough. Set aside. Put blackberries mixture into a small baking pan or cast iron pan. Roll out biscuit dough or pat down. Cut biscuits. Place on top. Brush with milk. Sprinkle with raw sugar. Bake until golden brown about 25-35 minutes.